Miele Vacuum Cleaners, Riccar Vacuum Cleaners, Electrolux Vacuum Cleaners, Beam Central Vacuum. Capital Vacuum in Raleigh & Cary. Vacuum cleaners, Vacuum Sales, Vacuum Service, Vacuum Repair, Vacuum Supplies, Vacuum Parts, Vacuum bags, Central Vacuums. IQAir air purifiers - 30 Vacuum brands and 250 models! Visit our Raleigh vacuum cleaner store or Cary vacuum cleaner store for all your vacuum cleaner needs! The very best vacuum shop is Capital Vacuum! Welcome to Capital Vacuum, the area’s largest and most respected vacuum and floor-care dealer. We have an incredible selection of name brand vacuums, central vacuums, air purifiers, carpet cleaners and much more...all at discount prices! 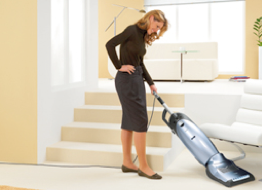 At Capital Vacuum we have top brands including Miele vacuums, Riccar vacuums, Electrolux Preferred vacuums, Beam & Riccar central vacuums, IQAir room air purifiers - more than 30 top name brands! We invite you to join the thousands of satisfied customers, and thanks for shopping with us. Two convenient locations! Serving the Triangle for 60 years! 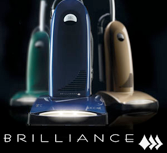 Vacuum Cleaner Sales • Service • Repair & Supplies! the Cleaning Experts...for over 60 years! Visit us for the Very Best Vacuums & Cleaners! Notes: *Savings off reg.price or msrp.